Positively Atlanta Georgia : CoSA for celebration. 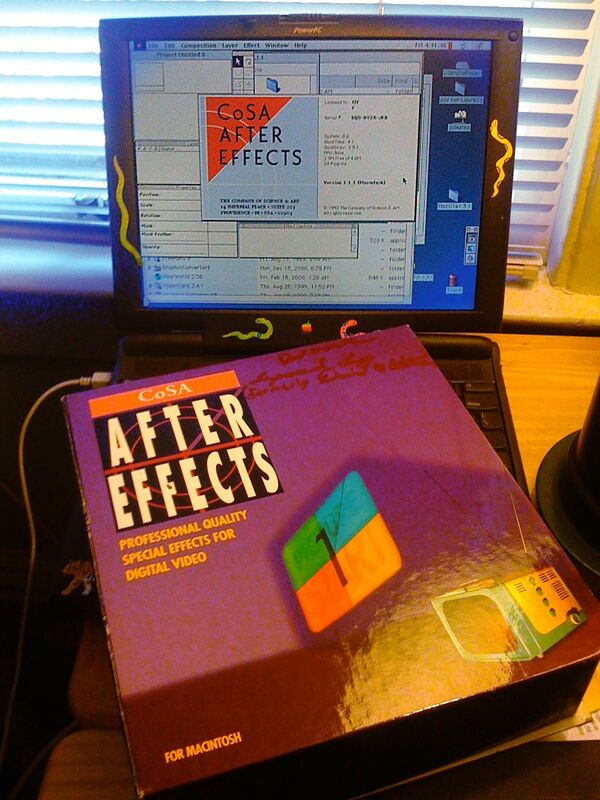 Let us now take just a small moment and praise the product now known as Adobe After Effects, which started life as a rudimentary—yet breakthrough!—product at the Company of Science and Art. Three (or is it more?) guys named Dave created this program, which launched into the world in January of 1993…that’d be fifteen years ago. What it does (for those of you who don’t do layered television graphics for a living) is make layers of Photoshop and Illustrator and type and Quicktime movies (and nowadays about three dozen other types of files) move, bend, arrive on screen, depart with elegance, pirouette, take bows, and do all of this without the need of a big television control room. This was huge and profound for me back then, right after I had gratefully moved away from the world of $170,000 Quantel Paintboxes to Adobe Photoshop. I remember rendering out a short sequence of frames…they took forever…but when they were done they were (gasp!) fully realized, fully broadcast-quality. I could begin to move away from booking expensive control rooms at several hundred dollars an hour and do it all…at home. It was a big wow moment. Nowadays so much of what you see before you in television and feature films has passed through After Effects…well, you’d be amazed. From subtle color correction to creations of hundreds of high-res layers smushed together, AE is a fundamental tool even at facilities that claim to only use gear that starts at six figures. That’s why when some of the Adobe programmers dropped by years ago to treat me like a lab rat, I got them to..uh..sign the box, shown here (to the right…click on it for a larger version.) Hey, they’re celebrities in my world. And there, on the screen of my ancient Powerbook, is that first version of the software…running this very afternoon! CoSA lives, indeed. And Adobe deserves a considerable chunk of credit for encouraging this product’s development while somehow keeping it, at its core, what it is. Flexible, fast, fun to use. Happy birthday DaveS, DaveH, DavidC, Dan, and all you Michaels and Jameses and Ericas and Steves and Saras and Wills and Vlads and Colemans and Guptas and all the other folks who have made it the fine product it has been all these years. Sincere thanks for making me a fine, fine tool to do what I do. Positively Atlanta Georgia is produced at the color studios of jcbD, and is made possible, in part, by readers like you. Thank you. Some of this content is available in tasty Micro.blog form.